After a jam packed summer season of festivals, Spirit of Folk, happening this 19th-21st of September is planning to see the season out with something a little different than what punters might have seen at festivals this year. Set on the grounds of Dunderry Park, Co. Meath with 25 acress of wooded parkland and lake the festival which hosts two stages of live music from the folk, trad and bluegrass genres will also hope to educate and delight festival goers with their wide range of eclectic activities. 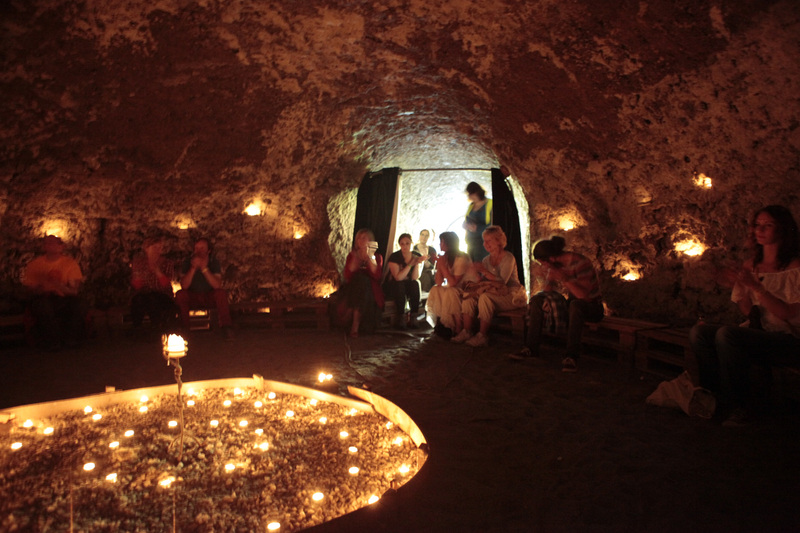 From battle reenactments, falconry, midnight shadow puppet shows to inspirational talks and workshops, relaxing treatments and tours and trips to local sites such as the Hill of Tara, Spirit of Folk is one for those looking for a completely immersive experience right in the middle of the Boyne Valley. Over 40 acts will grace both the main and woodland stage including Tupelo, voted best Folk Act at the Hot Press Reader’s Poll 2013; Dan Walsh, Touted as one of the finest banjo players in the UK; In Their Thousands, a four-piece outfit comprising alt-country, folk & rock; Dan Amor, Hailing from North Wales, a formidable talent making his way to Ireland for the first time; The Emerald Armada, an energetic festival-favorite and Belfast born and bred. As well as great musicians there will be lots of alternative events that will complement the music and these include storytelling and poetry reading by Pat Speight, Eddie Lenihan, Aideen Mc Bride as well as talks and workshops on ancient druidism and shamanism; African song and dance workshops; yoga; ancient astronomy and bushcraft. Other acts featuring at this year’s festival include: Carriages, Lynched, Bunoscionn, DANI, Leading Armies, Coscan, Mo Hat Mo Gheansaí, Elk, Juhn Echo, Liam Quinn, Stephen James, Na Tonnta, Wicker Bones, Corner Boy, Catherine Hatt, Oisin McCole, Laura Ann Brady, Ailbhe Reddy, Darren Lynch, Owensie, Rob Corcoran and Tommy Hayes & Mattu Noone, Old Hannah with more acts to be announced! Weekend tickets: €70 Day tickets €40.